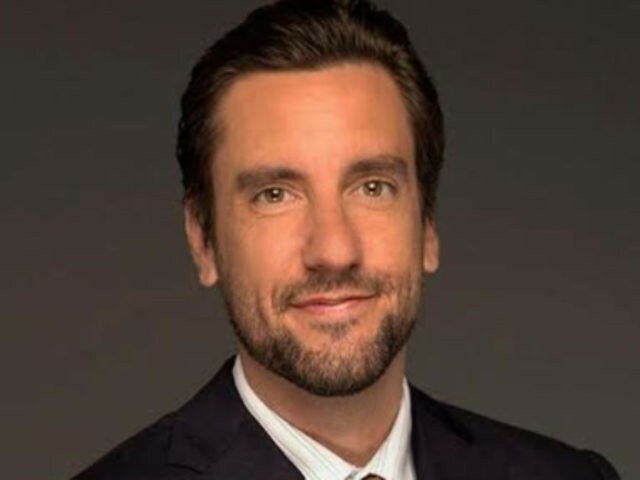 On Monday, July 2, Clay Travis of the popular sports site “Outkick the Coverage,” visited with the Curt Schilling Podcast to discuss topics ranging from NFL anthem rules, Supreme Court Picks, and Clay’s possible run for the U.S. Senate from Tennessee. Mr. Schilling opened the interview asking Travis what he thought of how off-kilter the NFL’s rules are where it comes to Jameis Winston’s three-game suspension. “The problem in general with precedence is,” Travis replied, “and this is why I was against the idea of the NFL starting their own investigations into whether or not players have misbehaved off the field, you know we’ve got the criminal justice system for that and if you want to suspend somebody based on what the criminal justice system uncovers I think that’s fine. After gushing about how he thinks the Toronto Maple Leafs are the new favorites to win the Stanley Cup, Schilling asked Travis about his rumored run for Senate from the great state of Tennessee. I seriously looked into it. And that’s because I just think people have gone insane in this country in general. And so I seriously looked into it and what would have been required is I’d have to give up my radio show in order to be able to run. And so, ultimately I decided that I think I have kinda the best gig out there right now with the radio show and being able to say exactly what I think. So, I’m not going to run this go around. Plus, my wife — I’ve got a ten, a seven, and a three-year-old, three little boys — and my wife is not that excited about me upsetting the apple cart of our life right now and doing something like that…. I’m going to be continuing to do what I do right now and then maybe in five or six years I’ll look at it again. Schilling agreed saying that “after seeing” how the families of politicians face such scrutiny these days it just wasn’t worth the effort to run for office. Schilling also pointed to what Sarah Huckabee Sanders faced when she was kicked out of a Virginia restaurant just because she worked for the Trump administration. Travis then noted that he was lucky not to have faced this sort of attack in person yet. Travis agreed that more people need to learn how ESPN treated Schilling. Travis also insisted that most Americans don’t think that their own political opinion has to conform to what their employers think about the issues. To that, Schilling added that he was frustrated at the network because even as ESPN’s bosses continued to tell him not to talk politics, they allowed other on-air employees like Jemele Hill and Michael Smith to talk all the liberal politics they wanted with no repercussions. “I was the only one being held to that standard,” Schilling said. Later, the pair noted how excited they were for the renewed Yankees/Red Sox rivalry with the two teams being among the best teams in pro baseball today, and then enthused about college football with Travis telling fans to be sure and make a “Southern rivalry” game if they want to enjoy some of the most exciting and fan-intensive games in sports. Schilling went on to ask Travis what he thinks of paying college athletes. “You’re talking about athletes who bring hundreds of millions of dollars of revenue to these colleges, most of them in college to get to the NFL, where do you stand on that one,” Schilling asked. I’m a capitalist, so I think in general that what you should be able to do is go pro when you are able to go pro. If every sport could do what baseball did it would probably be ideal. I know for football it’s a little bit tougher, but if you at 18 years old — certainly in the NBA — and I think in Football you should be able to leave whenever you want, when ever people are interested in drafting you, because of the physical toll. But, I think that would solve a lot of the “should players be paid” angle. Then you have an option, “OK, hey, if I want to go get an education, and I want to go get a degree, and I want to play football,” like that’s an ideal kind of situation and you’re being compensated with that and then maybe you have the opportunity to go pro after you’ve been there for a few years. But that to me is like, I always say, you know, we don’t require Taylor Swift to go sing in the Vanderbilt chorus for year before she’s allowed to release an album. And certainly with what you did in baseball, right, at 18 years old if you want to go play in the minor leagues you’re able to do that if you so desire. I think you should just have options. I’m a believer in options and I’m a believer in being able to balance out your money and figure out what makes sense for you and your family. So, I like more options as opposed to less. Wrapping up the interview, Schilling asked Travis what he thought of the left’s mental anguish of the fact that President Donald Trump will have the opportunity to replace Supreme Court Justice Kennedy. “Right now I feel like this country is derailing in a horrible way and I can’t see anything that can stop it. And I’m worried that we’re going to get to a place where the confrontation is going to become physical, violent, and big,” Schilling said. I think a big part of that is social media. Because, in the grand scheme of things — I’m a history guy, right, like I was a history major in undergrad, I love reading and studying everything about our country’s past — the things that we are fighting over today, are relatively speaking not that grand in the larger universe of things that we have battled over throughout this country’s history. And so, some people want to compare us to say 1968 right now. And I go back and I say, “well, wait a minute. In 1968 MLK and RFK both got assassinated, we were at war in Vietnam, we had the draft going on, there are major geopolitical tensions and internal conflict that was coming to a head. Right now we’ve got the lowest unemployment rate, basically, in recorded history for all races and all ethnic groups, right? We’ve got a stock market that is near a, relatively speaking, all time highs, we have got a peaceful country in terms of the danger that day-to-day you or I or anybody in our families face. And so, I feel like people just want to be angry and I’m with you that I feel like we are trending towards a physically violent confrontation that is going to — you know, I don’t worry so much about people from external parts of the world trying to impact us right now, I feel like many parts of our country are falling apart in terms of the way that we’re going at it. And I think it’s based on social media. So, look I’m with you. Elections have consequences and Donald Trump has the right under the Constitution to appoint a justice to replace Anthony Kennedy. And if Democrats don’t have the majority in the Senate and if they took away the right to filibuster, then to me, like Trump gets the ripe opportunity to put forward his his guy of girl and whether or not they can get 51 votes. You can hear the whole interview at the Curt Schilling Podcast and catch Schilling’s podcasts anytime you like. And also be sure to catch all the new Breitbart Podcasts offered for your listening pleasure every day.